Always seems to be blue!! 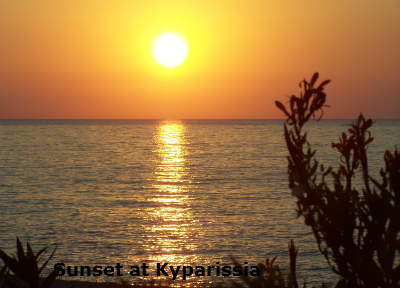 The photograph above was taken in Navarino Bay at Pylos. 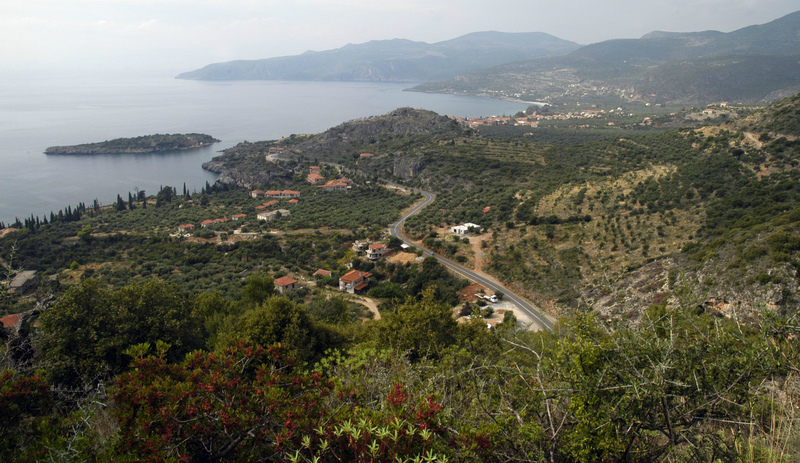 The bay of Finikounta is so picturesque, the picture was taken on the outskirts of the village. 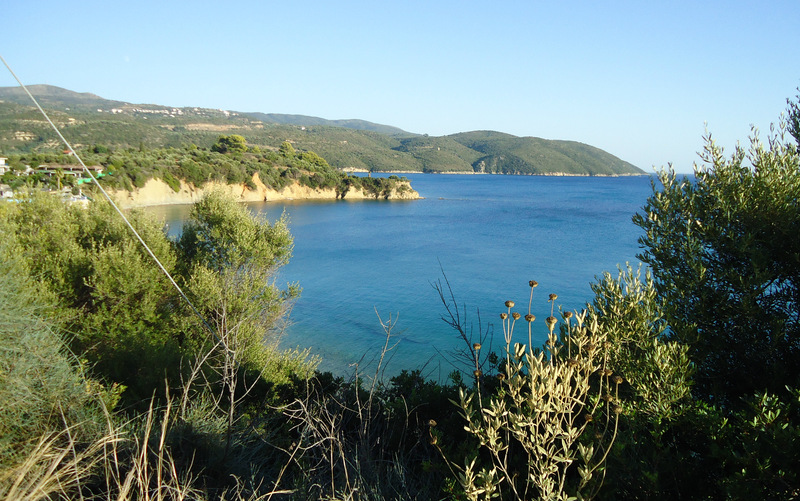 There is a narrow road that leads out of the village over the hill and past the school at the left end of the beach. On my way down the west side of the Mani Penisular on the road to the Diros Caves I stopped to take in this amazing view. This beautiful bay is situated a few kilometers before you reach the town of Areopoli. There is a road that runs right alongside the sea with an area where I saw lots of camper vans. 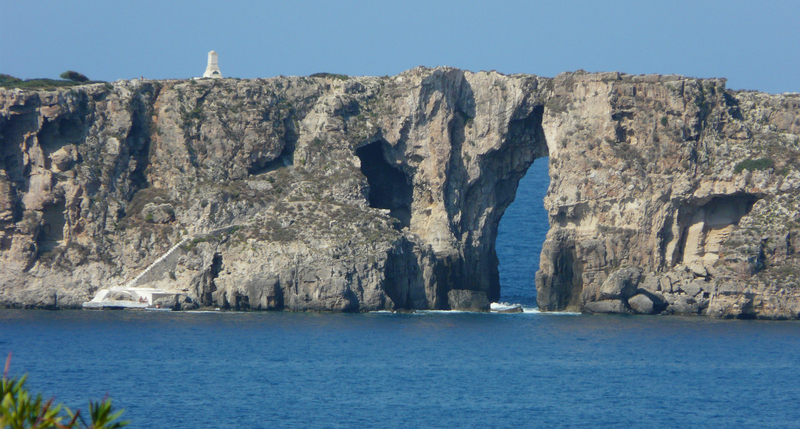 This photograph was taken from the top of the island of Fanari in Navarino Bay, whilst on the boat trip around the bay, when we disembarked to climb to the top of the island to see the French Memorial at the top and also the wonderful views over the whole of the bay from the other end of the island. 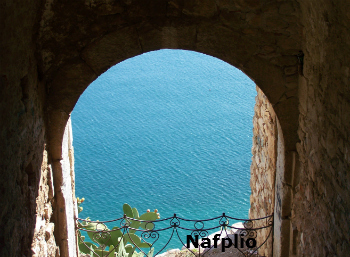 As you walk through the ancient fortress of Acronafplio you come across this wonderful window to the Argolic Gulf. 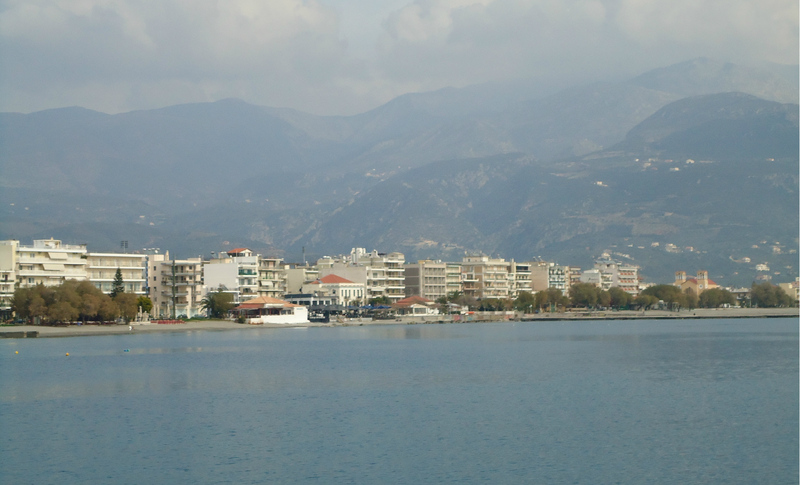 Kalamata from across the harbour showing the beginning of the beach and the mountains in the background. There are many working fishing boats in the harbour. 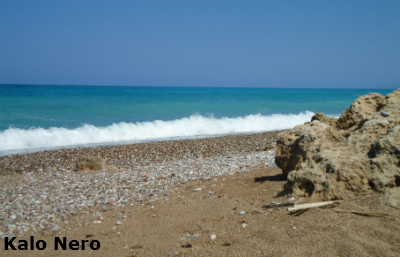 Kalo Nero beach in winter is usually deserted,totally different from how it is in the summer when it is a very busy village, although you may see someone walking their dogs. 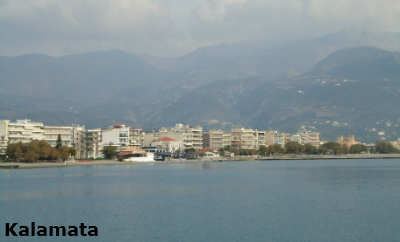 Many of the tavernas in Kalo Nero open all year round so you can usually get something to eat and drink. 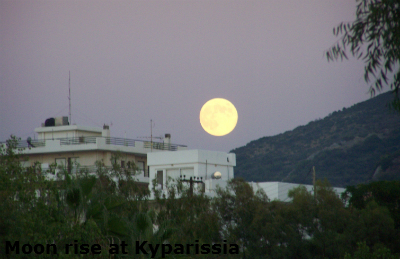 Sunset at Kyparissia and moonrise. Both photographs were taken within a few minutes of each other. As the sun set to one side of where we were sitting, the moon rose on the other. 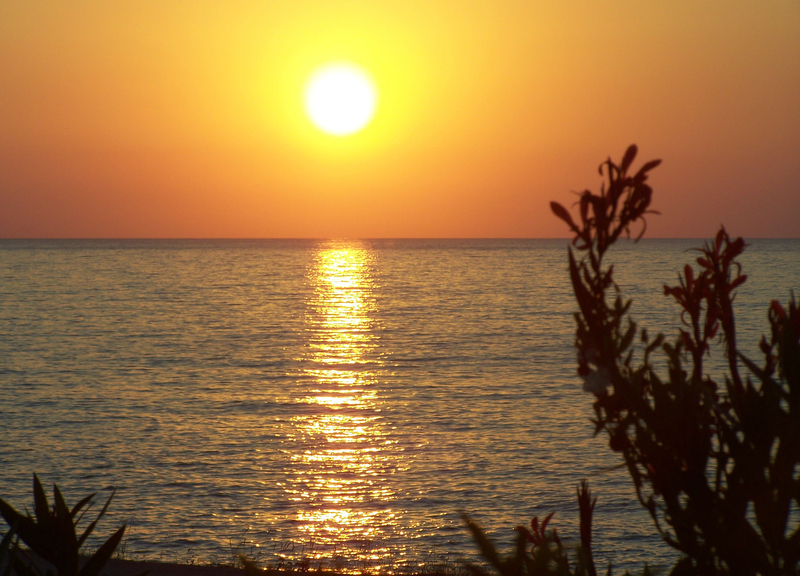 Photograph of Kardamili courtesy of AlanW_100 at Flickr. 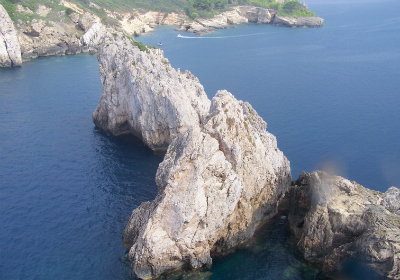 The small island of Meropi is in Kardamili Bay. The island is small and uninhabited its only building is a small chapel, with a house, named after the Virgin Mary, built around the end of the 17th century for a small group of monks to keep as a monastery. 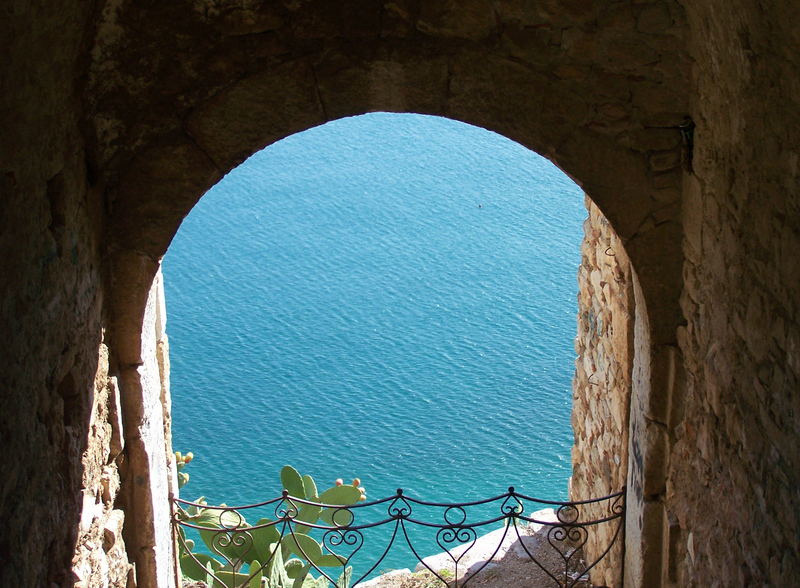 The island also has a section of a Venetian fortress. Findings from the Venetian period also include a marble lion's foot that is displayed in the museum of Kardamili and a cracked bell that lies on the island. 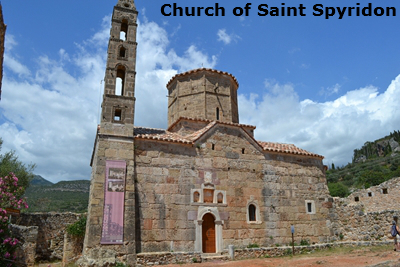 There is also an olive press and three cisterns one of which may still be used if needed.